In HIDEOUS FACES, BEAUTIFUL SKULLS, a collection of thirty stories of horror and the bizarre, you will encounter miscreants and monsters aplenty: a giant spider from beyond … the most powerful witch in the world … a race of slime-coated fish-people … surreal kaiju … a bizarre Egyptian monstrosity … an evil cat-cult … a mystic cockroach god … grotesque invaders from outer space … a living mannequin … a diabolical retirement community … writhing eye parasites … magic zombies … scheming Internet Witches … the living dead on a space station … alien lovers … and others too unearthly to describe. The creatures await…. 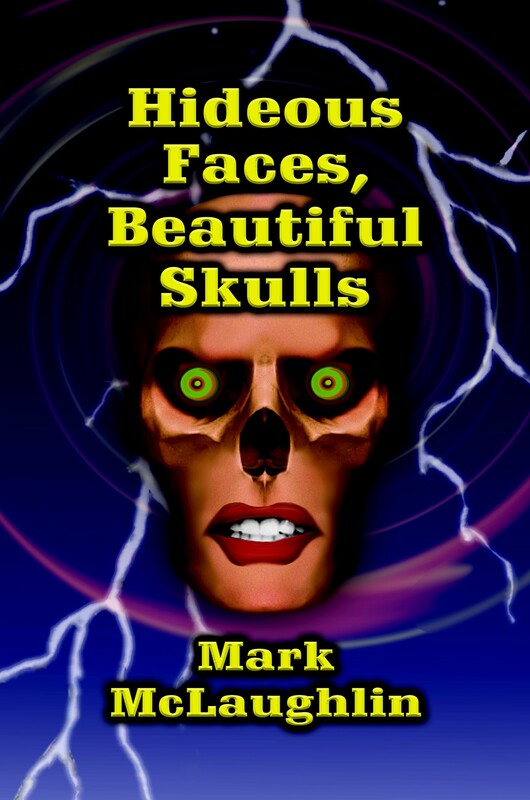 This entry was posted in Uncategorized and tagged hideous faces beautiful skulls, horror, horror fiction, Kindle, Mark McLaughlin, monsters, story collection. Bookmark the permalink.